Share the post "Lipstick Plant Or Aeschynanthus radicans: Info And Care Tips"
Aeschynanthus radicans is an evergreen vine-like plant native to the humid tropics of Malaysia and Indonesia. In their native rain forest habitat, these plants grow as epiphytes, perched on trees, just like orchids. They do not feed off their hosts. A member of the Gesnariaceae family, the lipstick plant is closely related to African violets and gloxinia. The plant’s real attraction is its vibrant tubular hairy bright red flowers that emerge from a dark maroon hairy calyx that look like lipstick in a tube. Flowers have five lobes, the top two lobes forming a “hood.” Usually the blooms are red, but some varieties have dark red (burgundy), orange, yellow or coral flowers. The thick, glossy pointy deep green leaves cover the long, lax stems. Depending on the variety, they can be semi-trailing, upright or climbing. Lipstick plant requires bright indirect light, warmth, and humidity. Use it in the garden in tropical, frost-free regions, or as a houseplant in colder climates. Lipstick Basket Vine looks excellent in hanging baskets on a shady balcony or patio. Putting it at eye-level will show off its thickly leaved trailing vines with vibrant lipstick-red flowers. Growing lipstick plants is not difficult, and with proper care you will be rewarded with spectacular flowers. Light: Partial Sun, Partial Shade. Protect from direct sun. Soil: Neutral to mildly acidic. Peat moss based potting mix with added perlite. Moisture: Average Water. Well-Drained. Water freely in spring and summer (allow the soil to dry out slightly between waterings), but more sparingly in cooler seasons. Fertilizer: Light feedings of water-soluble fertilizer (3-1-2 or 19-6-12 that contains micronutrients). Fertilize after watering. You can also use slow-release houseplant fertilizer. Do not feed in winter. Tips: Avoid placing the plant in full shade or full sun. Prune the lipstick plant after it finishes blooming. Each stem should be trimmed back to a length of about 6 inches. Use sharp scissors or hand pruners and make a cut right above a leaf. For proper blooming, air and soil temperatures must be a min of 70 to 80 F (21-27 C). Because it originates in the tropics, the plant likes high humidity. Repot in spring or summer, moving it up only 1 pot size. Keeping the plant slightly pot-bound will help it to bloom. 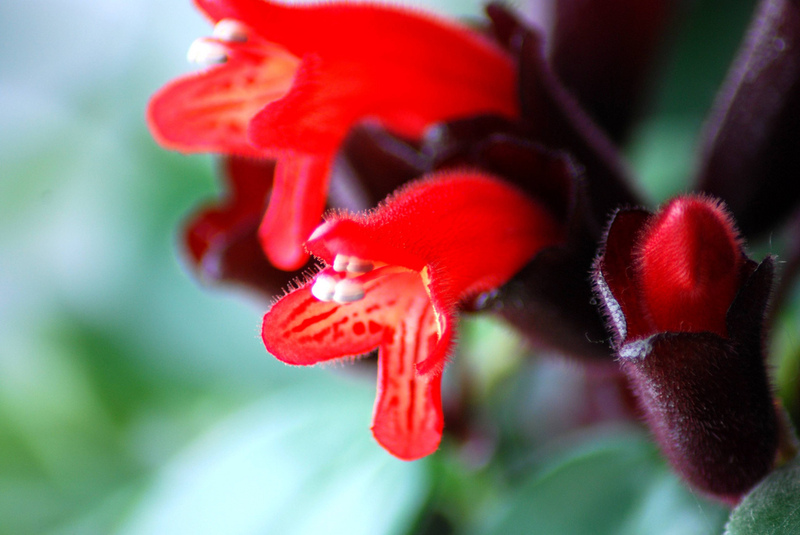 Do you grow Lipstick Plant (Aeschynanthus radicans) in your garden? What is your experience with this plant? Please share with other fellow gardeners in the comments below! 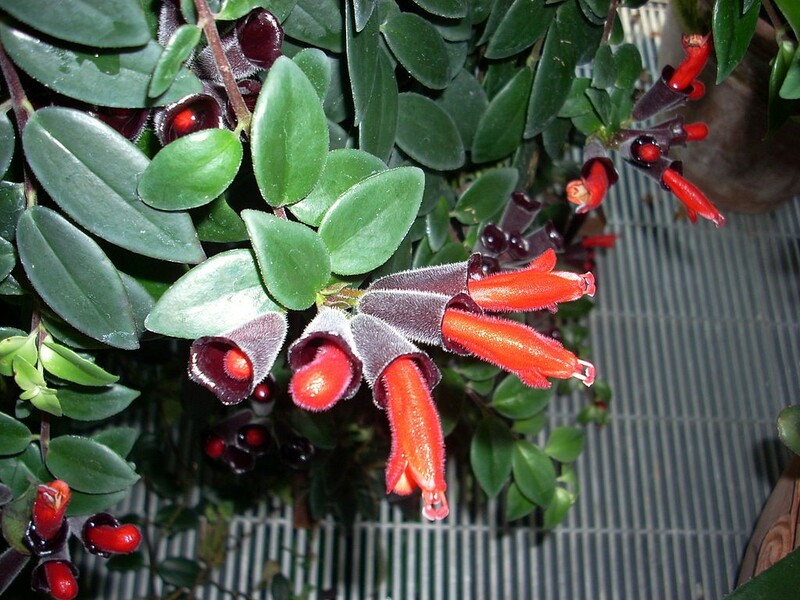 Do you sell Lipstick Plant (Aeschynanthus radicans) seeds or have plants for sale? You can place your advertisement here. Contact us now!